Chromecast Audio is a very simple product, and that’s probably the best thing about it from a consumer’s standpoint. You plug it in to power and then into an audio output source like an A/V receiver or a powered speaker. The Chromecast Audio supports either standard stereo audio cables or optical via a mini-digital connector. From there, just open the Chromecast app and get the device set up on your Wi-Fi network. That’s it - you’re done. 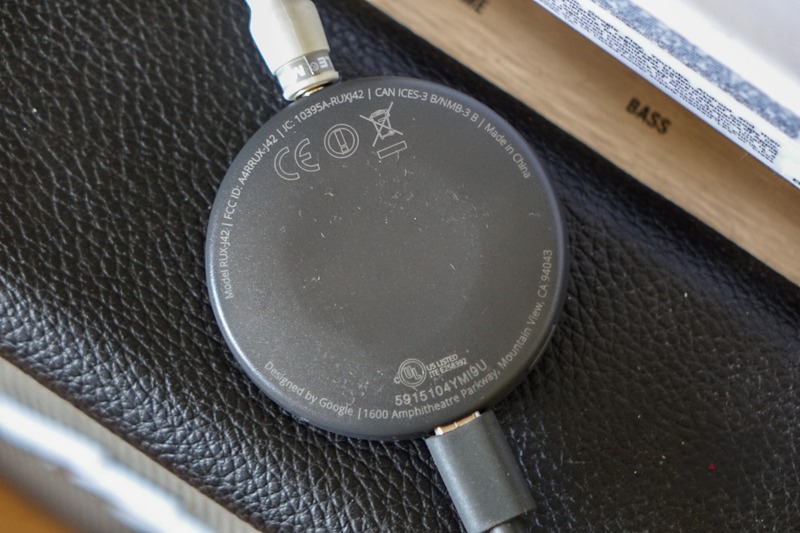 Now, any cast-enabled device within a reasonable proximity of the Chromecast Audio can tell it to play audio, regardless of whether it is on your Wi-Fi network, just like Chromecast. Guests can use it as well via a PIN that you can set, just like Chromecast. And because the audio is streamed directly by the Chromecast itself, there’s no range issue related to your device. (Note: if you want to cast all audio out from your phone, that does at least require the devices be on the same Wi-Fi network). Like the video Chromecast, there’s also a built-in workaround for apps that don’t support the cast API. Simply use the “cast” shortcut from your notification bar or inside the Chromecast app and all audio from your device will be sent via Wi-Fi to the Chromecast. So, if you want to use an audiobook app that doesn’t support casting, it’s not a problem - just use the cast audio feature in the Chromecast app and you’ll be up and running. Easy. What else does the Chromecast Audio do? Well, nothing. That’s it, at least for now. It doesn’t work across multiple speakers simultaneously (yet - that will come later), it doesn’t have any kind of queuing or group playlist support / user management, and it also doesn’t really work with video, because there’s no way to handle the A/V sync without developers actively working with Google to fix that on a case-by-case basis. So, no: you can’t use this to watch Netflix on your tablet with audio coming out of your home theater’s speakers - there will be a 2-4 second A/V sync delay and it will pretty much be unwatchable. This may change in the future. And that’s very cool - it means Chromecast Audio will almost certainly go from “excellent alternative to a Bluetooth dongle” to “actual Sonos competitor” eventually. Well, at least that’s what Google would like you to hope. Still, the Chromecast Audio is easily leaps and bounds better than the Bluetooth audio-out dongles it competes with, and here’s why. You don’t have to actively stay connected when you want to use it or, more important in my opinion, actively disconnect from it when you don’t. The latter drives me nuts about Bluetooth audio dongles. There are no range considerations in relation to your connected phone / tablet / laptop once music starts playing. There is no annoying “pairing” process for new devices. The Chromecast app is associated with your Google account, so all your devices just work with it. The limits on audio quality are essentially down to the DAC hardware inside the Chromecast, not the data stream, since Wi-Fi offers huge bandwidth compared to Bluetooth - there’s no need for compression or wrappers. There is essentially no battery drain on your phone unless you are doing direct audio casting, and even then, it’s minimal. No one can “hijack” your Chromecast without your authorization - they need access to your secure PIN, which you can change at any time. Your end device is basically irrelevant in terms of the audio quality, since the Chromecast is the one handling the data connection and playback. So, what’s not to like? Really, there isn’t much. The Chromecast Audio fills the niche it targets extremely well, and there’s only up to go from here. Now, if you’re considering whether or not you actually need something like this, let me just be frank with you: if you have to think about it, you probably don’t. This is a tool for a subset of people who already know what they want, that being an easier way to get audio from their smart devices to a speaker or A/V system. If you don’t need that, there’s no reason to buy this. 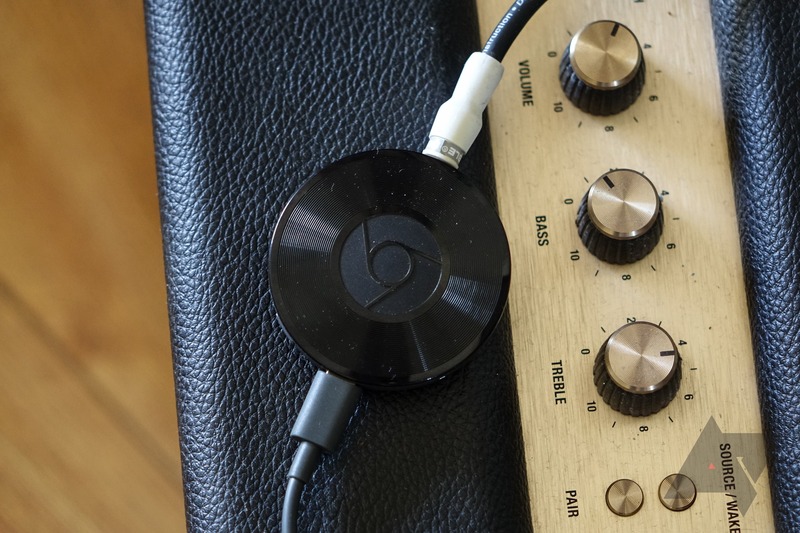 The Chromecast Audio is very much a tool with a very specific purpose. Additionally, remember that a regular Chromecast does all this and outputs video. If you’ve got an A/V receiver hooked up to a home theater setup, the regular Chromecast is clearly the better choice unless you are really tied for HDMI real estate or plan to almost exclusively use the "cast all device audio" feature. More on that in a minute. The regular Chromecast also gives you visual accompaniments to go with your audio, and I know that’s something most people like when they’re putting on tunes for a get-together or even just doing chores around the house. So carefully consider just what your needs are before pulling the trigger on one of these. The one exception here, I've found, is in regard to non-supported casting of audio. 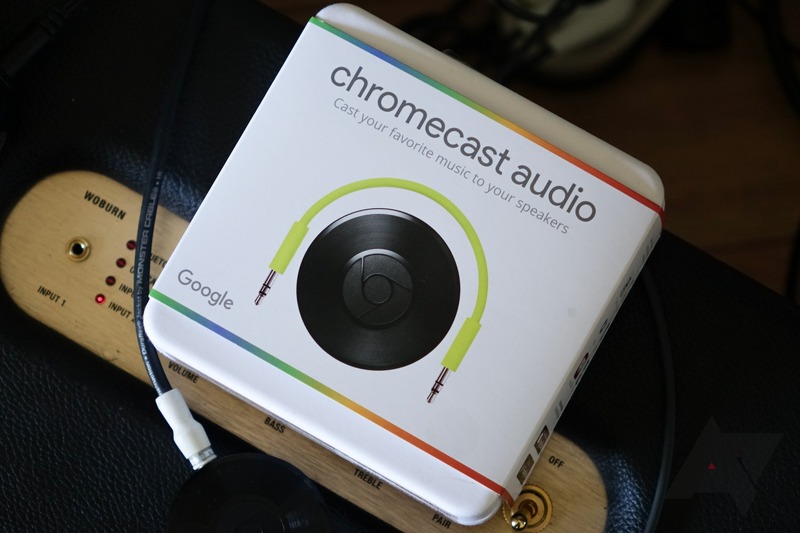 Audio casted as part of screen casting on the regular video Chromecast is of substantially lower quality than the audio-out cast on the Chromecast Audio. However, the quality of audio on the video Chromecast when casting from supported apps like Spotify or Google Play Music seems comparable to the quality of audio for those apps being cast to the Chromecast Audio. Let me see if I can make this clearer. I'm guessing the reason for the lower quality on the video Chromecast when screen casting is simply processor load. Doing both a live screen cast and streaming audio is probably too much for the device to handle at anything but relatively low bitrates, and it's here where the Chromecast Audio does have an advantage. So, keep that one issue in mind. Anyway, if you’ve got an old stereo and bookshelf speakers just languishing because of their un-smartness, the Chromecast Audio could be the perfect tool to bring them back to life. I have a Moto Stream Bluetooth hooked up to my stereo receiver for a similar purpose. I never use it. It was cool for a few days, but the hassle of pairing / unpairing or turning it off when I didn’t want to use it - and turning it on when I did - was kind of a nightmare. The Chromecast obviates these concerns completely. Now, if you’re looking for something that comes with an “ecosystem” and tools and management and multi-speaker connectivity a la Sonos, sorry, it’s not here. Maybe it will be one day, but don’t buy it on that basis - Google talks a big game, but don’t be drawn in by that alone. Regardless, the Chromecast Audio has its own benefits, and it costs a hell of a lot less than something like Sonos. At $35, it’s easily the best value for a tool in its class, and it works with Android, iOS, Chrome OS, and even Windows and OS X via tab casting in Chrome (assuming your audio source can be opened on the web). If you already have a Bluetooth dongle, I think replacing it with one of these is a total no-brainer, and gets my “buy” recommendation unreservedly.